You are at:Home»Florida Tech Bound»Chemical Engineering Careers: What Are My Options? Chemical Engineering Careers: What Are My Options? 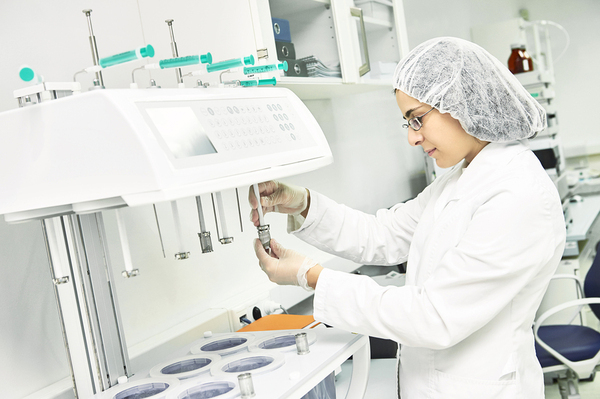 Chemical engineers can work in the pharmaceutical industry researching and developing new medications. A chemical engineer may work toward advances in genetic testing and gene therapy procedures by studying and applying chemical principles to these methods. Chemical engineers in medicine could also engineer organisms and microorganisms that can be used in applications like degrading wastes and converting chemicals into more useful ones. A related part of the healthcare field is the pharmaceutical industry, where chemical engineers might create new medicines, synthetic versions of existing medicines, or use bacteria, animal, and plant cells to help them understand diseases, disease pathways, and human responses to drugs. Chemical engineers can work in the food industry to improve methods of processing foods, come up with better and safer food additives, and develop safer fertilizers and herbicides or pesticides that won’t cause some of the harmful effects observed with existing products. The net effect of chemical engineering on the food industry is to produce more food while spending less money to do so. Manufacturing is another area where chemical engineers are often needed. Chemical engineers can work in the energy industry to find better ways to refine oil and petroleum products to make them more efficient and affordable for consumers. They may also work to develop alternative fuels or hybrid fuels that offer greater efficiency, or to mitigate or reverse pollution generated by the energy industry, either when accidents occur or just in the normal course of generating energy. The more general environmental science field also needs chemical engineers to study the impact of various chemicals on the environment and to figure out how to fix chemical damage to the environment through chemical spills, pollution or other chemical exposure. Chemicals are often used in the manufacturing process, and chemical engineers can work to improve those processes and create new ones that work better than existing ones, saving companies money. The manufacturing process often creates waste products that can cause pollution to the local environment, and chemical engineers can work to prevent this pollution or reduce it. Because many different industries have a need for chemical engineers, there are many possible career paths graduates can pursue. Thinking about what kind of chemical engineering you most want to do can help you find an industry that appeals to you and get the right training for that path. Florida Tech offers chemical engineering degrees that combine foundational training with hands-on opportunities in a variety of different industries. Learn more about our chemical engineering degree program to see how it can help you get started in a career in chemical engineering. If you’re interested in learning about an advanced degree in this field, watch for our upcoming blog which addresses the burning question: Is getting a masters in chemical engineering worth it?